This charming reversible tote is crafted in soft nappa leather with a printed nylon interior. The playful micro-print is a nod to a long-time symbol of the brand: the butterfly. 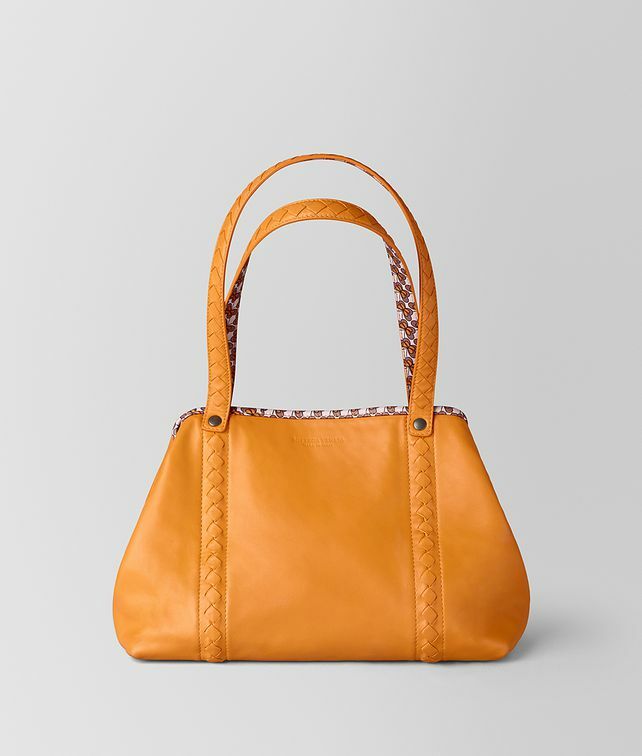 The tote is detailed with intrecciato handles that run seamlessly along the body of the bag. Its slouchy silhouette can be pulled in by buttoning the two tabs on either side.